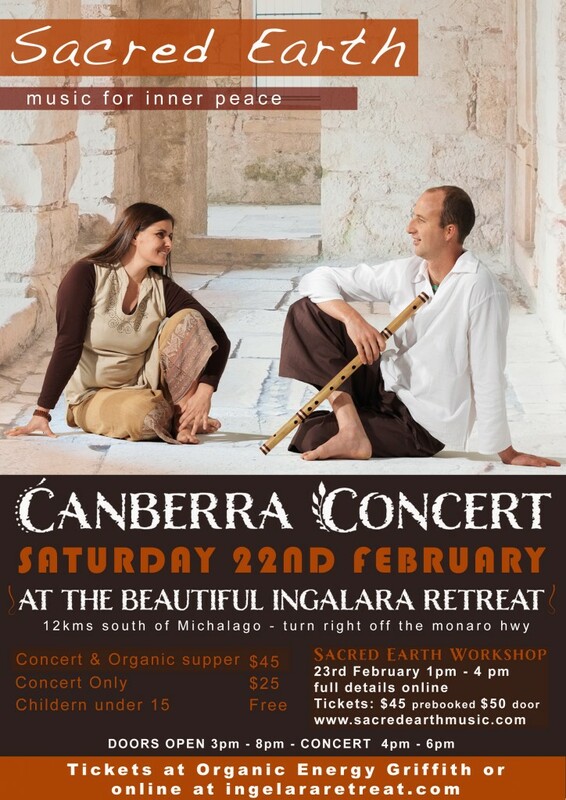 Sacred Earth – Music for Inner Peace – are currently touring around the east coast of Australia, and are performing on Saturday 22nd February 2014 at a retreat centre near Canberra (Australia). They are an amazing group and we are looking forward to see them later this month. For more details go to www.sacredearthmusic.com. Join Paul Wilson, author of The Little Book of Calm, in a three-hour meditation immersion suitable for all ages and experience levels. Organised by Yoga Reach, funds raised through this event support The Yoga Foundation, an Australian non-profit that provides yoga-based health promotion programs for people experiencing hardship or disadvantage. To book or find out more information about the meditation immersion with Paul Wilson. Jivamukti yoga immersions are for students from any yoga discipline as well as for Jivamukti yoga teachers, advanced certified Jivamukti yoga teachers, Yogeswari will take you deeper into the study of Jivamukti yoga and its five tenants. For more details and booking can be found www.jivamuktiyoga.com.au or email katie@jivamuktiyoga.com.au. 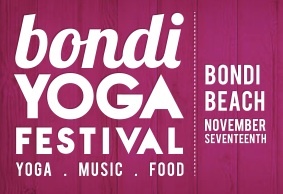 The Bondi Yoga Festival is back again on 17th November 2013 at Bondi Beach, Sydney. The Bondi Yoga Festival explores the different styles and traditions of Yoga from several of the world’s most inspiring teachers including Liveyogalife.com’s Simon Borg-Olivier and Mark O’Brien. Yoga is for everyone, and the festival will have a great selection of classes at the festival suitable for all levels of experience from beginners to advanced. Experience a variety of Local and International music artists at the festival. We will feature a range of inspiring, positive bands and a range of exciting groovy music from ecstatic Kirtan-Chants to Alternative-Rock and Groovy Roots & Reggae. Its all fun and dance at the Bondi Yoga Festival. We will invite local Vegetarian, Vegan and Raw cafe’s in Sydney to provide a variety of delicious food the festival. We aim to provide deliciously-healthy choices for our attendees. The Bondi Yoga Festival will also feature an exciting range of Wellness & Lifestyle activities like Massage, Aromatherapy, Funky Art, Fashion, Clothing and Music within our Vendor Village. Click here to find out more about the Bondi Yoga Festival. The Evolve Yoga and Music Festival is back again on 5th October 2013 in Byron Bay. It is a yoga spectacular with 8 session rooms hosting over 60 workshops and classes with some of the most experienced national and international teachers, plus an outdoor concert, marketplace and delicious yogi treats! Click here to find out more about the Evolve Yoga and Music Festival in Byron Bay. Join Patty Kikos for a Kundalini yoga workshop that will help you shift your perspective, boost your nervous system and renew your spirit for spring on Friday 20 September from 6.00pm – 8.00pm at Jivamukti Yoga Sydney, Newtown NSW. Together, you will experience a beautiful sequence that will cleanse & rejuvenate the liver meridian and help you release the heavy emotions you no longer wish to carry. The practice is done at your own pace and with your eyes closed which makes it open to all levels and personality types. Past workshops have sold out so bookings are essential in securing your place and avoiding disappointment. Visit Patty’s website for more information and to book.